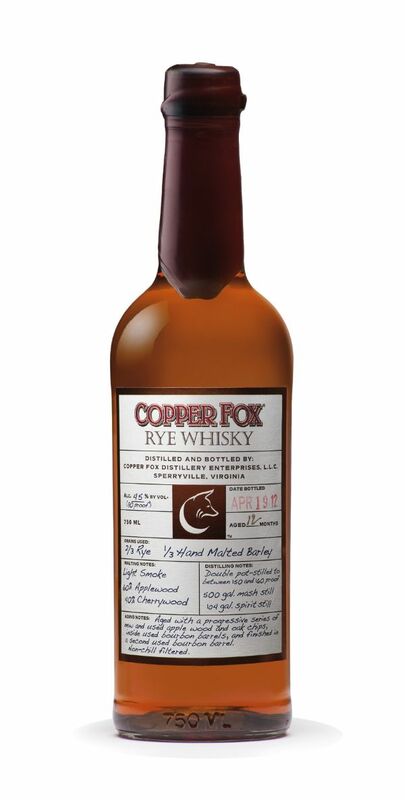 At Copper Fox Distillery, we believe in producing an original, our rye is made of 2/3 Virginia rye, and 1/3 of our thoroughbred Virginia barley, hand-malted and kiln-dried with apple wood and cherry wood smoke. It is then double pot-stilled between 150 - 160 proof, and aged for 14 months with a progressive series of hand-cut apple and oak chips inside used bourbon barrels. Our innovative aging process results in a truly unique rye whisky that is savory and complex with the characteristic Wasmund’s finish.